Synopsis: Raphael, Leonardo, Donatello, and Michelangelo are back to battle bigger, badder villains, alongside April O'Neil and a newcomer: the hockey-masked vigilante Casey Jones. After supervillain Shredder escapes custody, he joins forces with two dimwitted henchmen, Bebop and Rocksteady, to unleash a diabolical plan to take over the world. As the Turtles prepare to take on Shredder and his new crew, they find themselves facing an even greater threat with similar intentions: the notorious Krang. 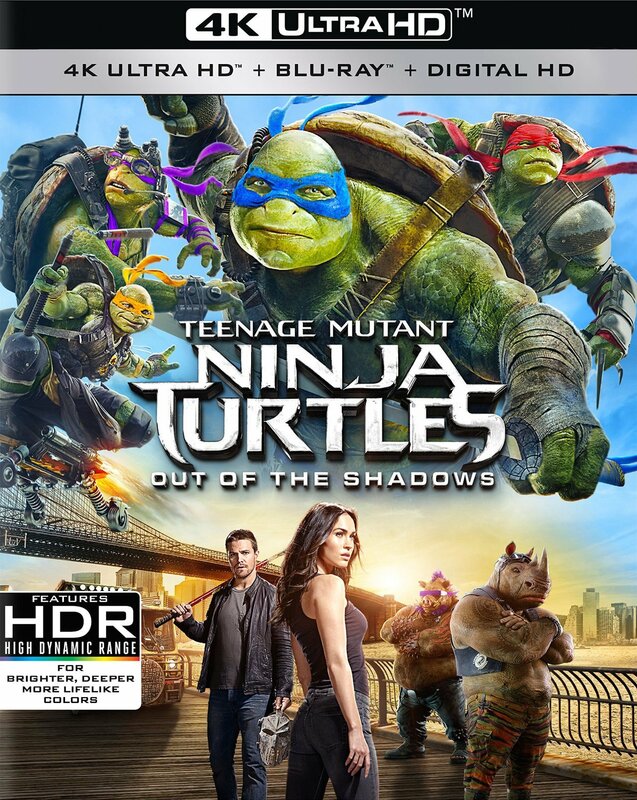 Hailed as "fun from start to finish" (Brian Medina, Movie Pilot), Teenage Mutant Ninja Turtles: Out of the Shadows stars Megan Fox, Will Arnett, Laura Linney, Stephen Amell, and Tyler Perry in the live action film that is fun for the whole family.